Keep Your Parties With MagicSing! MagicSing delivers incredible audio quality and performance. Easy to use app on both Android and iOS platforms. 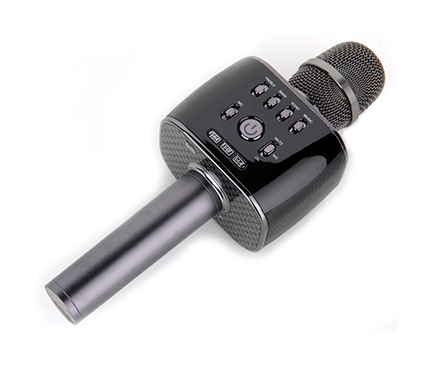 MagicSing MP30 Karaoke Mic + Speaker system brings families and friends together! 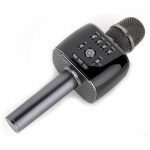 With over 20 years of experience in making advanced karaoke systems, MagicSing, is the most recognized bluetooth karaoke microphone in the industry. 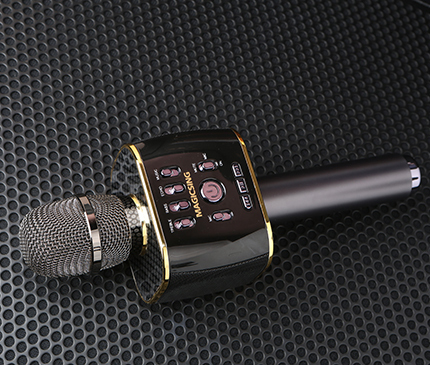 All Magic Sing systems include intuitive user interface, simple design, and customize-able Melody/Tone/Echo/Tempo and other functions to produce the best singing performance. 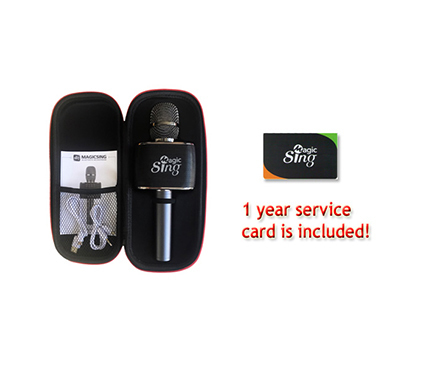 MagicSing connects wireless (via bluetooth) to a smartphone app (Android or Apple) which has access to 500,000+ of karaoke songs in EnterMedia’s music server(subscription based with one year subscription card included with your purchase). 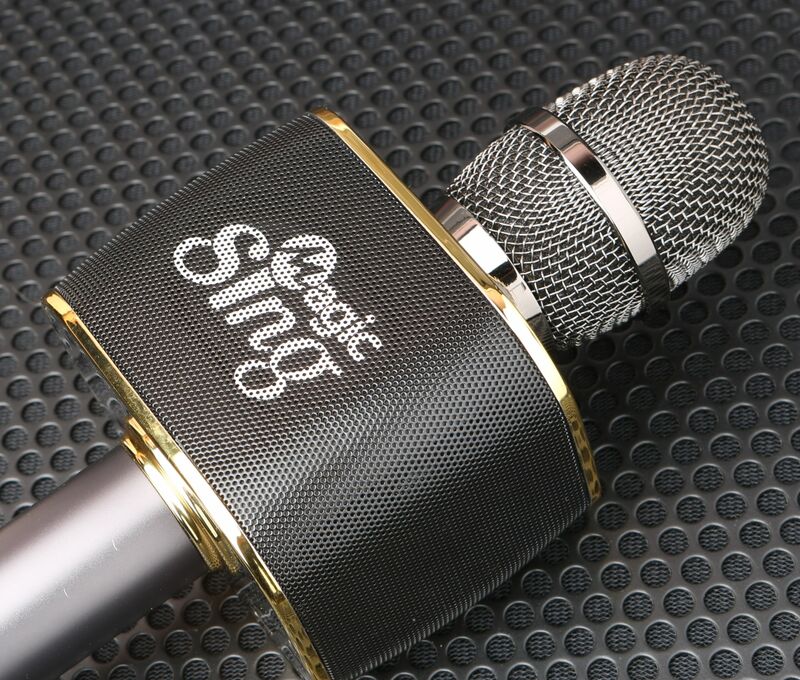 The streaming service can be used anytime and anywhere through internet over WiFi through the smartphone MagicSing app. 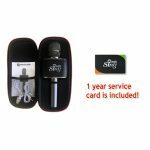 MagicSing delivers high quality sound and a high performance ratings, it is a top quality bluetooth karaoke microphone and it comes with a 1 year subscription card to EnterMedia’s music server, which has a largest (!) 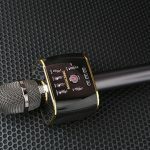 karaoke song database in the world. Lead Singer 5 out of 5 based on 2 ratings. 2 user reviews. 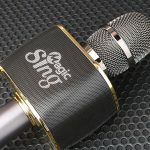 Magic sing delivers a great sound and doesnt have a huge delay as some other microphones do. My family loves it. I love how easy it is to use and I love that they have ANY song I want in the karaoke database.